These wonderful, wholesome and traditional recipes have been carefully collected and baked by Ruth Isabel Ross over many years. Good, plain, wholesome cooking at it's best. Favourites such as Irish brown bread, soda bread and scones are included, along with recipes for fruit breads, cakes and biscuits, puddings, pies and savoury dishes. 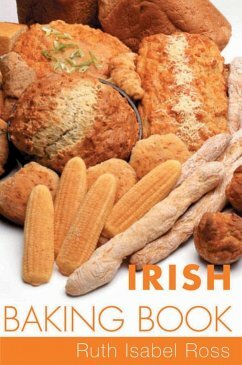 Many of the recipes have been made in Irish homes for hundreds of years and the author has included recipes that were made for certain feastdays, such as Boxty, traditionally served on All Saints' Day, and Barm Brack eaten on 1 February (St Brigid's Day) and at Hallowe'en. The last section is for simple 'no flour' bakes and includes savoury and sweet recipes. Ruth Isabel Ross is a well-known writer on cookery and gardening. She lives in County Wicklow and is the author of Irish Family Food and various books on Irish wildflowers.